The seeds for this friendship site were planted 13 years ago. To explain its birth, I’d like to give you some context by telling you a little about the loss of my best friend. I’ve had two great loves in my life. The first is my husband Jonathan, who I met when I was 16 and married when I was 20. We’re still happily together after 50 years of marriage. The second is my best friend Madeleine Moger, who I met when I was 18. But we’re not still together. She died when we were both 58. I spent 40 years with her, but the last 13 without her. I thought of her as my other significant other. I turned to her often in my life for advice, feedback and validation. She knew just what to say when I was blue. She was a listening champ and never grew tired of our conversations. I had hoped to grow old with her. But when she was 52, a drooping eyelid sent Madeleine into the medical maze. Ultimately she was diagnosed with thymoma, a rare form of cancer, along with the equally devastating myasthenia gravis, a defect in the transmission of nerve impulses to muscle. She had surgery followed by months of chemotherapy to deal with the cancer. It took her close to a year to get her strength back. I hoped that her recurring cancer would not reappear and for a while it didn’t. But six years later, in 2002, a brutal flare up of myasthenia landed her in the ICU at Mt. Sinai Hospital. She was deathly ill, intubated and unable to speak. The fatigue associated with having a critically ill friend is enormous. Sleep is fitful, when it comes. Many nights I could not close my eyes. I thought of her trapped by tubes in her hospital bed and could not will my body to sleep. After a few months she rallied for a short while and was able to leave the hospital in time to make it to my daughter’s wedding. Madeleine died less than four months later. The grief I felt after she died was numbing. I walked through my days as if in a trance. I felt an emptiness that could not be filled by anyone else. For six years I had worried about Madeleine dying and now what I had feared most had come to pass. Despite the pain of being a caretaker through her illness, it also gave purpose to my life. If I could bring a smile to her face or perform some task that was helpful I felt content. After she died I became painfully aware of the fact that mourning rituals are built around the death of a parent, child, spouse or sibling, but not around a best friend. But for many women the ties of friendship can be as strong or stronger than a genetic bond and the absence of that historical friendship can be, for some, more permanently felt than the loss of a parent, spouse or sibling. The friend is chosen family, a sister of the heart not of blood. Twelve years after Madeleine died I finally found a fitting way to honor our friendship. This past March I began to interview women about the loss of female friends. I found many stories similar to mine: women who had friendships built on trust and sustained by unconditional love that provided them with immense joy and meaning. I found that very often whether a woman’s friend died this year or decades ago, the women still felt a hole in their lives that was not filled by anyone else. It seems that while people can find happiness remarrying when a spouse dies, women are often unlikely to “refriend” after their female best friend dies. Friendship Dialogues is the result of my search to understand women’s most intimate and enduring friendships. An online community seemed an ideal way to bring these stories to life and provide a way for additional women to share their stories of friendship love and loss. My 25 original interviews focused on women who had lost their best friend to illness, suicide or accident. With Friendship Dialogues, I am broadening that focus. I encourage women who have lost a best friend for any reason to share their stories at Friendship Dialogues. By sharing our stories we honor all our departed best friends and show others just how pivotal female friendships are to women. I have another goal too. I want to eradicate the notion that women are by nature catty and mean to other women and tell young girls to cherish the women in their lives who might one day turn out to be their best friend forever, even after death. First and foremost, I dedicate this site to my best friend for life — Madeleine Moger. 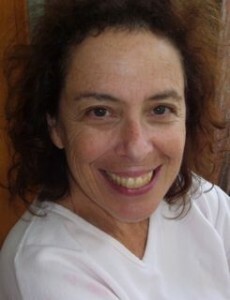 There are many dear women friends I have lost in my life, but I’d like to acknowledge one in particular who brought immense pleasure to my life — Lynn Yellin. Lynn died five months after Madeleine at the age of 61, also from cancer. We were friends for 31 years. I met Lynn when I moved into a sprawling, art deco apartment building on Eastern Parkway in Brooklyn a few months after my son Matthew was born. I was 27 and she was close to 30. She had been a dancer and moved with grace and lightness. She loved life and made me laugh. She tended to overlook the dark side of life and preferred to focus on the positive. So that’s what we did. She loved me like a sister and we too talked about growing old together. Our daughters — Leslie and Allegra — adored each other and as children were inseparable best friends. I’d also like to acknowledge and thank Connie Chang and Hope Perlman. About four years ago Connie formed a writing group for the three of us. Once a month we’d have an hour-long phone call designed to support each of us in pursuing our creative dreams. Without their regular encouragement and occasional push to get going, I never would have attempted this project. Connie has since gone on to launch her Unblocked.Life Workshops. Her most recent Workshop was called “Your Personal Leadership Journey: Begin With Ourselves in Mind.™” Hope has a book project in the works on the subject of success and writes with great heart and wit a blog called “Unmapped Country.” I am proud of both of them for pursuing their dreams. Connie once told me that once I got enough traction, there would be “no stopping you from getting to the finish line.” She was right. Next, I must thank Eve Pearlman, my niece and a California-based writer and editor, who joined me on this project at the most opportune time, when I needed someone to step in and read these stories with a fresh eye. Her careful, loving pruning kept the women’s voices intact, while editing out what wasn’t essential to tell the story. Thank you too, to Annemarie McCoy for making the dream come to life on this website with her web design and creation magic. And, of course, my thanks to my husband Jonathan for believing in what I was doing and encouraging me to follow this path wherever it leads. My children Leslie and Matthew, daughter-in-law Catherine and grandchildren Owen, Clara and Maya always support me, by their love and presence in my life. Lastly, but not least, I want to thank the 25 women who agreed to be interviewed by me for this project. You will find their stories featured on this website. Most of them did not know me but responded to a website I set up to help me find women who had gone through the loss of their female best friend. They opened their hearts to me. Throughout this process I’ve felt like I had an army of women rooting me on. I am inspired by your journey! As nagging questions come up around what is next and how to proceed and what if life doesn’t do this or I’m not received like that or blah, blah, blah…I am buoyed to witness your dedication to your vision. I know you will get your extraordinary project out into the world and the world will be better for it! Thank you for openly sharing what you are going through along the way. It sounds as if you continue to be divinely guided to the right people at the perfect time. I can’t wait to see what happens next! I can’t either. Thank you dear army for believing in this project.